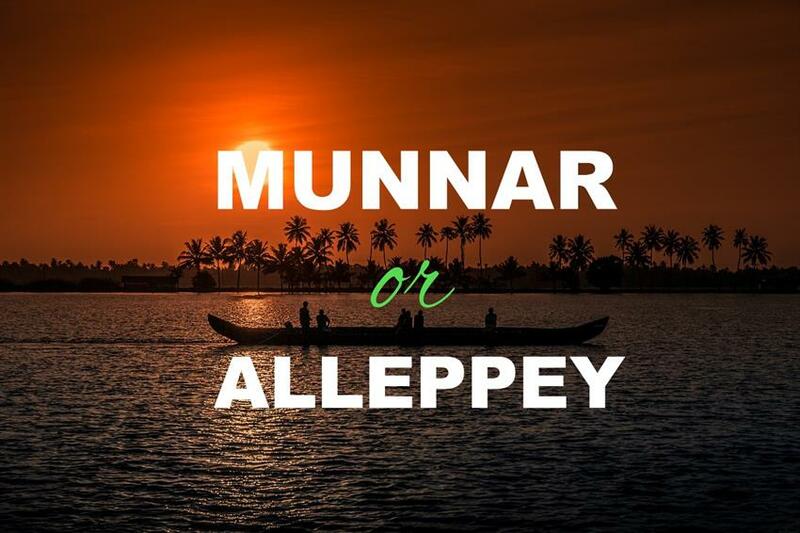 Munnar or Alleppey - Which is the better tourist place? Are you planning to visit Kerala soon and trying to decide on whether to visit Munnar or Alleppey? Read this article for a comparison between Alappuzha and Munnar as tourist destinations to find which is better. Munnar and Alappuzha are considered to be some of the visited tourist destinations in Kerala. While Alleppey is popular for houseboat cruises and backwater tourism, Munnar is a hill station where you can refresh and relax in the lap of mother nature. Both places attract a huge number of foreign as well as domestic tourists every year. According to the analytical study by Kerala Tourism Department, foreign tourists prefer Alleppey over Munnar but domestic tourists prefer Munnar than Alappuzha. We will talk why foreign tourists prefer Alappuzha and local visitors prefer to go to Munnar. Before we get into those details, let us see some analysis and reports by Kerala Tourism Department. Kumarakom or Alappuzha - which is better for house boat cruise? According to the reports published by Kerala Tourism Department, the number of foreign tourists visited Alappuzha in the year 2014 is 56,491. At the same time, 45,393 foreign tourists visited Munnar. You can see in the list that Munnar is just behind Alappuzha in terms for foreign tourists. It is evident that foreign tourists have a preference for Alleppey, thanks to the unique houseboat cruise packages. You can see above that the number of domestic tourists to Munnar is almost double that of Alappuzha. Why international and domestic tourists have different preferences for the destination? You would have noticed that foreign tourists prefer Alleppey while domestic tourists have a strong affinity towards Munnar. Why? Let us analyze. Alappuzha is an ancient coastal town with a lot of backwaters. The primary tourist attraction here is the houseboat cruises through the backwaters of Alappuzha and Kumarakom. Other than the boat cruise and the natural beauty of backwaters, there are not many other tourist attractions here. Most tourists here would stay overnight in a houseboat or do a day cruise and then relax in a resort by the backwaters. Both houseboat cruise and stay in a backwater resort are pretty expensive. An overnight houseboat cruise would cost anywhere between Rs 10,000 to Rs 15,000 and an overnight stay in a premium resort would cost anywhere between Rs 10,000 to Rs 20,000. While this cost may not be a big constraint for a foreign tourist, an Indian tourist may not be willing to spend so much for a single day cruise or overnight stay. Now, let us look at Munnar, which is the tourist paradise of Kerala. There are plenty of destinations to see, watch, enjoy. There is a fun and activity park called Dream Land Spices Park. Another big attraction at Munnar is the Eravikulam National Park. There are many more picnic areas and beautiful places like Anayirangal dam, Tea Museum, Honey Bee Tree, Rose garden etc. Indian tourists usually look for "value for money" and having several places to visit would make them happy about the destination. Even cost wise, Munnar is a lot more cheaper than Alappuzha. There are limited number of hotels and resorts in Alappuzha and that makes it an expensive choice. On the other hand, there are plenty of small/medium/large hotels in Munnar and a lot of last minute deals are available on various travel websites. That's another reason Indian tourists prefer Munnar over Alleppey. My personal suggestion is, don't miss any of these. Both Munnar and Alappuzha have their own advantages. If you haven't done a houseboat cruise, do it at least once in life. That's an unforgettable experience. Munnar is a beautiful tourist destination, with very picturesque hills, valleys and tea plantations everywhere. If you don't have a lot of time, you can do a day cruise in the houseboat in Alappuzha and then travel in the evening to Munnar. Stay in a resort in Munnar and enjoy the next day there.